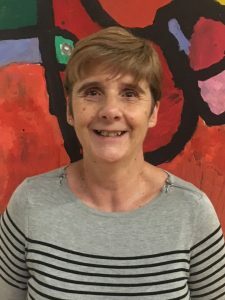 Newbie Pat, who joined the Chorus in May after attending a six week singing course, will be going to her first competition in Cork at IABS next week. She says she has found it hard work but the friendly and welcoming group encouraged her to join the rest of the Chorus when they travel to Ireland on 5 October and she is really looking forward to it. We’ll catch up with Pat in Ireland!